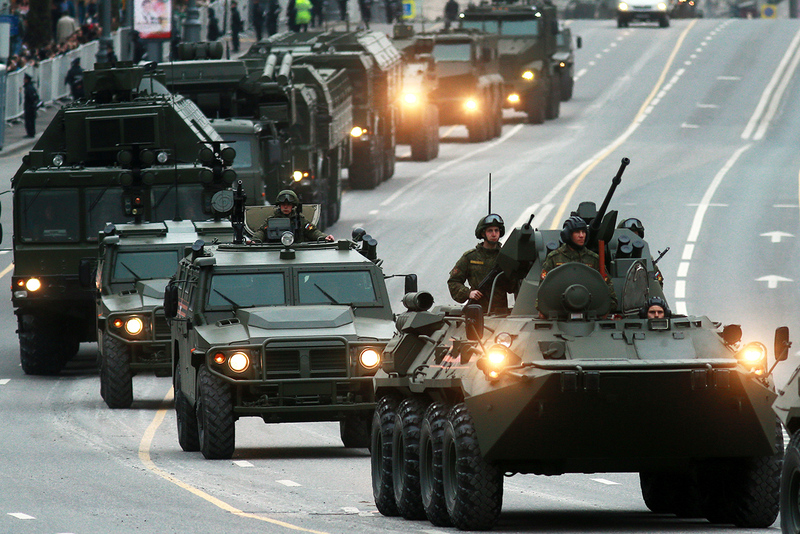 What weapons will Russia get before 2025? Western sanctions and the current economic crisis are likely to significantly limit the Russian Defense Ministry's ability to expand the country's military hardware, experts believe. The Russian military will have fifth-generation fighters, new intercontinental ballistic missiles, and possibly even the world's first hypersonic missiles. However, the current economic crisis and Western sanctions significantly limit the Defense Ministry's disposable funds and procurement appetites, experts believe. Russia's current rearmament program, worth 22 trillion rubles ($392 billion), will be completed by 2020, when 70 percent of weapons systems available to troops will be modern. The military procurement program for the next seven years is due for adoption later this year. A report by the Center for Analysis of Strategies and Technologies suggests that the new document will focus on precision weapon systems and nuclear deterrence. The Russian military is pressing for a procurement budget of 30 trillion rubles ($536 billion) for the period, but experts doubt the Kremlin has the ability to allocate such a sum because of the economic crisis. Andrey Frolov, editor-in-chief of Eksport Vooruzheniy (Arms Export) magazine, predicts that some of the current program's procurement targets will be included in the plans - particularly the Sukhoi T-50 fifth-generation fighter jet. The military will also bring in Tupolev Tu-160M2 strategic bombers and 30 Tu-20M3 long-range bombers upgraded to Tu-22M3M standard. “The Defense Ministry is also planning to finance the development of the [Tupolev] PAK DA next generation strategic bomber, but deliveries of this type are unlikely to begin until the end of the next decade at the earliest,” Frolov says. The bulk of the equipment to be procured for ground troops will based around various vehicles using the universal Armata chassis, principally the T-14 next-generation main battle tank, experts believe. No specific procurement figures have yet been defined. The T-14 reportedly costs 250 million rubles ($4.5 million). The standard version is fitted with a 125-mm gun, but the tank can be upgraded to carry a 152-mm version. The Т-14 has a fire rate of up to 10 rounds per minute and an effective firing range of up to 4.3 miles (7 km). By comparison, the U.S. military's M1 Abrams tank can fire rate just three rounds per minute with a range 2.8 miles (4.6 km). Strategic missile troops will get new Sarmat intercontinental ballistic missiles (ISBM). Viktor Murakhovsky, editor-in-chief of Arsenal Otechestva (Arsenal of the Fatherland) magazine, believes deliveries may start within five years. At least 46 Sarmat missiles are on the Defense Ministry's shopping list. Apart from the Sarmat, work to develop the Barguzin rail-mobile combat missile system is due for completion by 2020. The system relies on the use of Russia's railway system, with each unit carrying a payload of six Yars ICBMs on board. The crisis will particularly affect the navy, which will get fewer new warships and submarines. Dmitry Litovkin, a military analyst with Izvestia, says the military has to prioritize its procurement targets, so no new warships will introduced in foreseeable future. “Most likely, Russia will have to abandon the Project 23560 Lider-class destroyer program and postpone until the 2030s construction of the Shtorm [Project 23000E] aircraft carrier, which is expected to carry around 90 fighters, including the naval version of the fifth-generation fighter,” Litovkin says. He adds that this year the Russian navy will receive several warships and Project 955 Borey-class submarines that have already been built. The defense industry has indirectly confirmed that work is in progress to develop hypersonic missiles, and equipping Russia's forces with such weapons could begin within a few years. A report on the Defense Ministry's website reads that the arms program for 2018-2025 calls for “completion of the development, and delivery to troops, of fundamentally new hypersonic weapon systems, intelligent robotic systems, weapons utilizing new physical principles, and a number of next-generation conventional weapon systems and military equipment”. During recent tests, Russia's newest Tsirkon anti-ship missiles achieved a speed of 5,625mph (9,000 km/h). However, neither TASS news agency, which broke the story, nor the Defense Ministry has disclosed any details. In fact, there has been no official confirmation of the sensational news. Experts say that if the report is accurate, the Tsirkon will become the first missile to have broken the sound barrier. Litovkin comments that hypersonic technologies are the key issue in the unofficial arms race between Russia and the U.S.